This carefully contoured pullover vest is great for layering. It features a generous turtleneck-style collar. The long back hem makes this a perfect garment for active wear. In all, this is a great modern style. 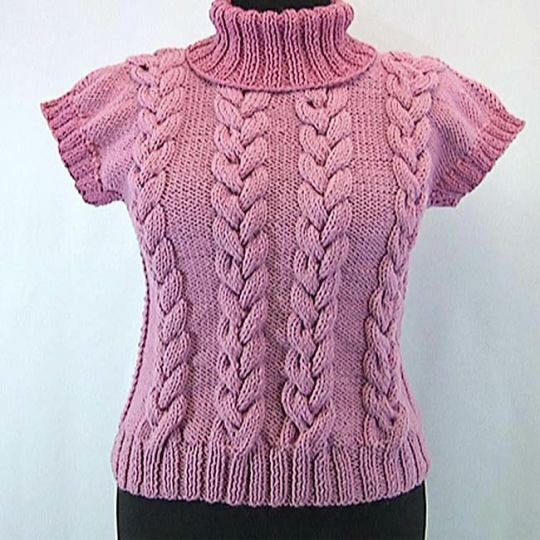 Wear a knitted cable vest with collar over a shirt with a strand of pearls for a professional look, or wear an open knitted vest over your favorite shirt for a flowing and delicate addition. Today I will see how to to make a knitted vest with 3 cable pattern. The size is 42_46….